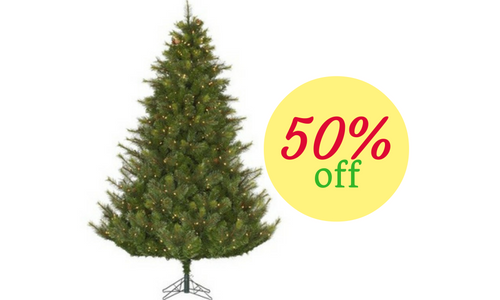 Looking for a deal on a Christmas tree? Head to Target or Target.com now thru 12/22 and you will get 50% off Wondershop and Phillips Artificial Christmas Trees. You’ll find a good selection online with free shipping… possibly a much larger selection than what is left in your store. This is the best time of year to get next years tree!